Local Times Age article on a 1000 k flight from Papawai. 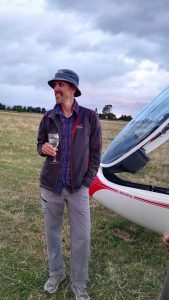 An epic 1000km gliding round trip that began from Greytown Soaring Centre has left Keith Essex on a high. On Sunday he took up a challenge to be the first person to clock up 1000km from the Papawai club, after the idea was light heartedly put to him the night before over dinner. Flying at altitudes ranging between 9000ft and 22,000ft, the flight took over seven hours to complete. 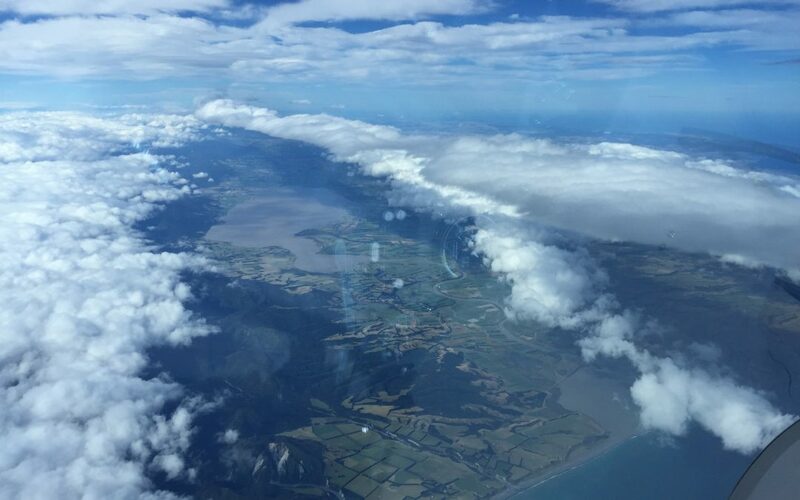 It saw Mr Essex fly to and fro between Hawkes Bay, inland from Hastings, and Palliser Bay in the Cook Strait. When he took off in the morning, he said, achieving his goal looked unlikely. On his journey Mr Essex travelled at an average of 142kph, but said he reached speeds of up to 300kph. Sunday’s voyage was not a personal record for Mr Essex, who took up the airborne hobby just four years ago. Last year, in the United States, he clocked up a 2700km flight with an average speed of 254kph. Mr Essex lives five months of the year in the small South Island township of Omarama, home to the island’s largest gliding centre. For the rest of the year he is back home in Alaska running his helicopter company, which splits its time and resources between tourism, and assisting the local coast guard and fish and wildlife management. His recent Greytown trip was to check out the “exceptional” new Papawai facility while partaking in the gliding championships held there last week. For the bulk of his 1000km glide, Mr Essex relied on “mountain waves”. He said wind speeds increased with altitude, which created a “bounce” in the atmosphere. In order for the flight to be authenticated, Mr Essex was only aloud to make five turns. The flight trace of Keith Essex’s five-point-turn 1000km glide. While up in the air, to stay “well nourished”, he consumed sandwiches, cheese, fruit and a lot of water. Weather was another factor gliders had to remain vigilant about, he said. As aerotowing was not available on the day, Mr Essex was launched by winch, making the mission “quite difficult”. However, being launched by winch took him to about 15,00ft. “I was able to work the scrappy thermals underneath me to work my way up to the waves. Yesterday Mr Essex set to the skies again. This time his goal was to “get to East Cape and back”. Greytown Soaring Centre president Grae Harrison said just two other people had clocked a 1000km glide in the North Island. He said considering the weather conditions in which the flight was completed, and the fact he was launched by winch, made Mr Essex “a legend”. Wellington Air Traffic Control monitored the flight.